Accelerated learning (A.L.) is a total system for speeding and enhancing the design and learning processes. Based on the latest brain research, it has proven again and again to increase learning effectiveness while saving time and money in the process. 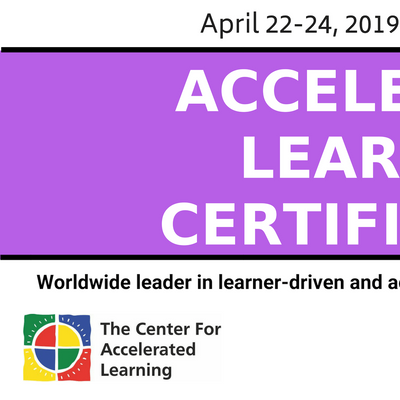 The Accelerated Learning Certification workshop is a future-oriented workshop that transforms passive learners into active-doers, which results in exceptional learning for themselves, their fellow learners and their organizations. The objective of this Certification workshop is to equip presenters, facilitators, educators and instructional designers with the right skill sets to help them move from preachers to practitioners. This, in turn, will positively impact the learner’s attitude and involvement resulting in greater ownership of the content. Melanie has 10 years of experience in Learning & Development and is the first certified Accelerated Learning certified facilitator in India. Melanie effectively collaborates with individuals and organizations in building memorable and result-oriented learning experiences. 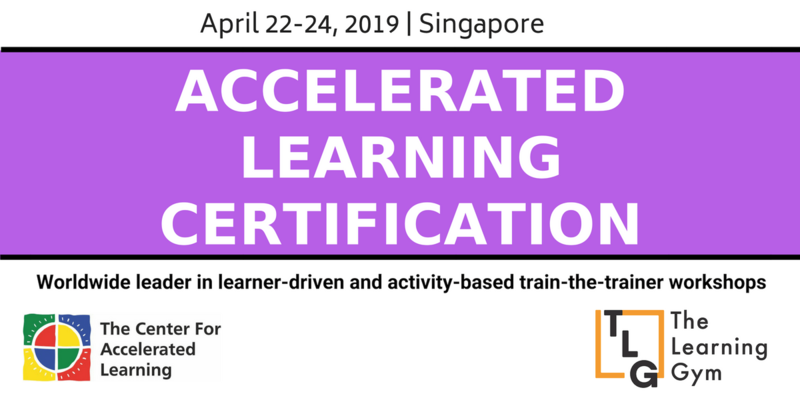 She believes that accelerated learning is the key to bringing the joy of learning back into training and significantly improve training’ return on expectations. Melanie is focused on bringing learning and development at the forefront, alongside key business stakeholders. Jacob’s life-long passion has been supporting individuals and groups in achieving their learning goals. Originally from New York, Jacob has spent the past decade in Asia (living/working in Hong Kong, Japan, Taiwan, and India) immersed in process facilitation, corporate training, workshop & content design, and communications coaching. Across all disciplines and cultures, Jacob has found one constant truth- the best learning happens when learners are enjoying themselves, collaborating with others and empowered to decide what is important to learn for themselves. The Accelerated Learning methodology for designing and facilitating learning interventions is the embodiment of this truth and therefore the most valuable tool in Jacob’s toolbox of learning. Before you register for a workshop, it is important that you read and understand the Cancellation Policy. If you are unable to attend your booked workshop and it’s more than 14 days in advance of the start date, then we can offer a transfer to the same course on an alternative date, providing there are places available or a course is planned for the future. If the cancellation is within 14 days of your workshop I’m afraid we are unable to offer a refund. We do appreciate that sometimes-unforeseen circumstances may mean that you can’t attend so we are happy for you to send along a colleague/friend to take your place. We will need their name and contact details prior to the workshop. Should we need to cancel a workshop due to unforeseen circumstances, we will aim to give you as much notice as possible of the cancellation. We will give you a full refund or if you prefer a transfer to an alternative available course, space permitting. Unfortunately, we cannot accept any liability for travel or other costs. Gift vouchers are non-refundable. We do appreciate that sometimes, unforeseen circumstances may mean they cannot be used and we are happy for them to be transferred to a colleague/friend.